Restaurant Sturehof is a dynamic and generous scene where we serve classical food of finest quality, with focus on seafood. Sturehof is a high class restaurant, without being luxurious, available for a wide range of people. 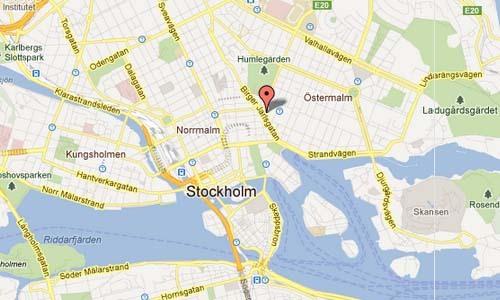 Stureplan in Stockholm is a high-end public square in central Stockholm, between Norrmalm and Östermalm. 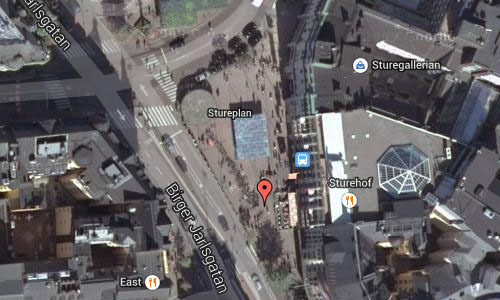 The square connects the major streets Kungsgatan, Birger Jarlsgatan and Sturegatan. The buildings around the square house offices of banks and other financial institutions, as well as several corporate headquarters. Some of the country’s most famous and expensive restaurants and bars are located in the area around Stureplan. Some examples are Sturehof, Spy Bar, Riche, Laroy, Hell’s Kitchen, East and Sturecompagniet. Exclusive fashion houses with shops in the area include Versace, Hugo Boss, Gucci, and LV. 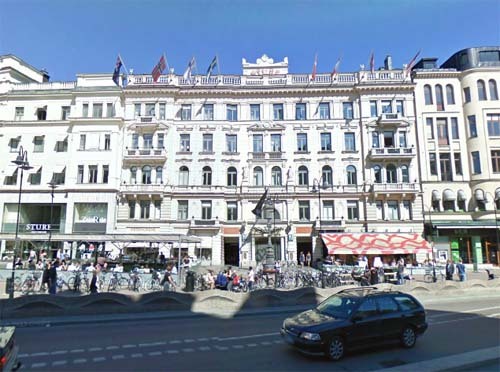 Here you also find the Sturegallerian mall and the Scandic Anglais hotel, part of the Scandic Hotels chain. 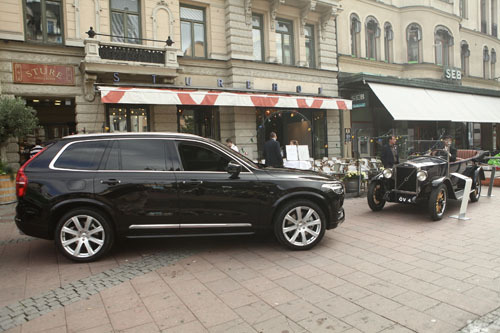 In Sweden, Stureplan has also become a well-known symbol for exclusivity since the major refurbishments during the 1980s. 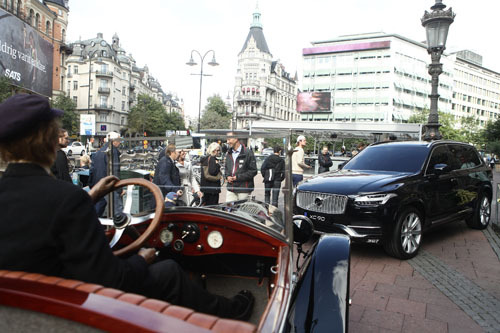 Known as an area with many expensive, luxurious bars and restaurants, it is considered a playground for upper-class youth, celebrities, young business executives and the hipper, more recent members of the Swedish Royal Family. 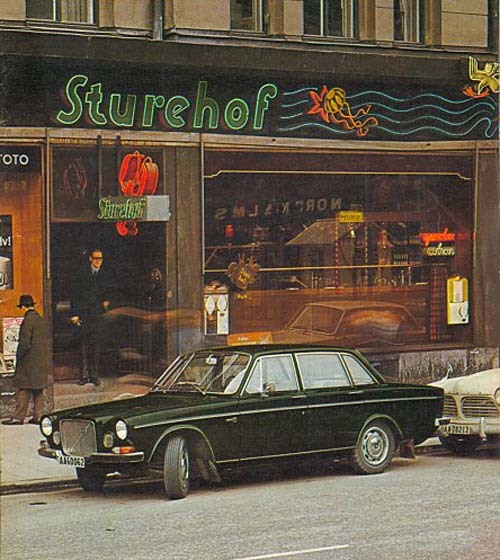 For Volvo fans, Restaurant Sturehof on Stureplan has a special meaning. 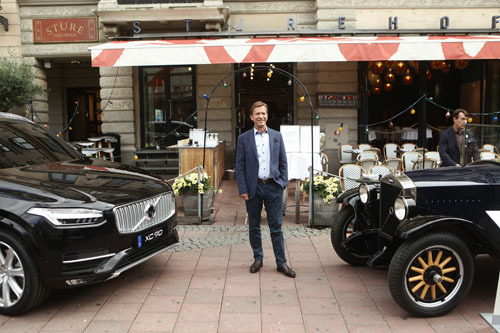 It was here on july 25 in 1924 where Volvo founders Assar Gabrielsson and Gustav Larson decided to start together Volvo, over a plate of lobsters (kräftskiva)….